The Clippers bolt to a 9-3 halftime lead on the way to a 13-10 win. 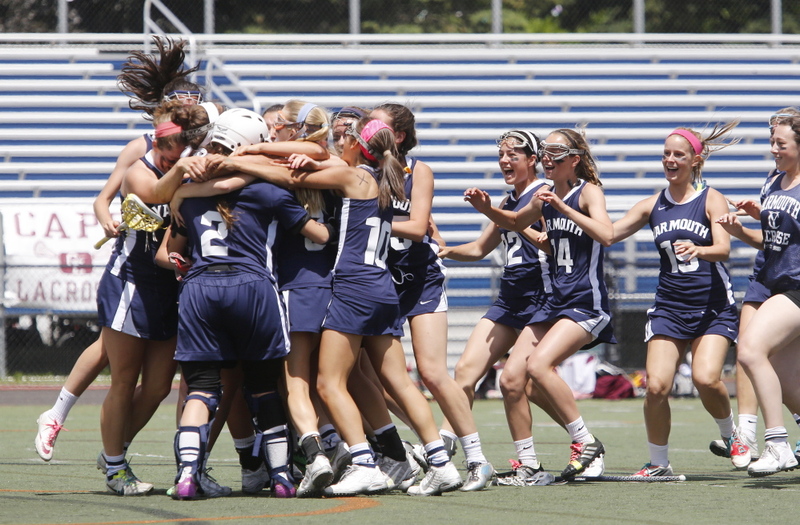 After playing a nearly flawless first half, Yarmouth survived Cape Elizabeth’s rally late in the game to capture its first Class B girls’ lacrosse state championship in four seasons Saturday. Grace O’Donnell scored six goals to lead the Clippers to a 13-10 victory at Fitzpatrick Stadium. Yarmouth (13-2) held a 9-3 advantage after the first 25 minutes. It was the Clippers’ second win of the season over the Capers, making their first appearance in a state final since the Maine Principals’ Association began sanctioning tournament play in 1998. On May 20, Yarmouth beat the Capers 10-9 at Hannaford Field in Cape Elizabeth. “(The players) knew it was going to take everything they got and they had to work as a team, and they really showed it in the first half,” Holt said. Yarmouth opened a 12-3 lead less than 10 minutes into the second half before Cape Elizabeth (11-5) rallied. The Capers went more than 23 minutes without scoring until Kirsten Rudberg finally connected nearly 13 minutes into the second half. Abigail McInerney, who won six consecutive midfield draws during one stretch, scored six of her eight goals during the final seven minutes to close the gap, but it was too much of a deficit for Cape to overcome. 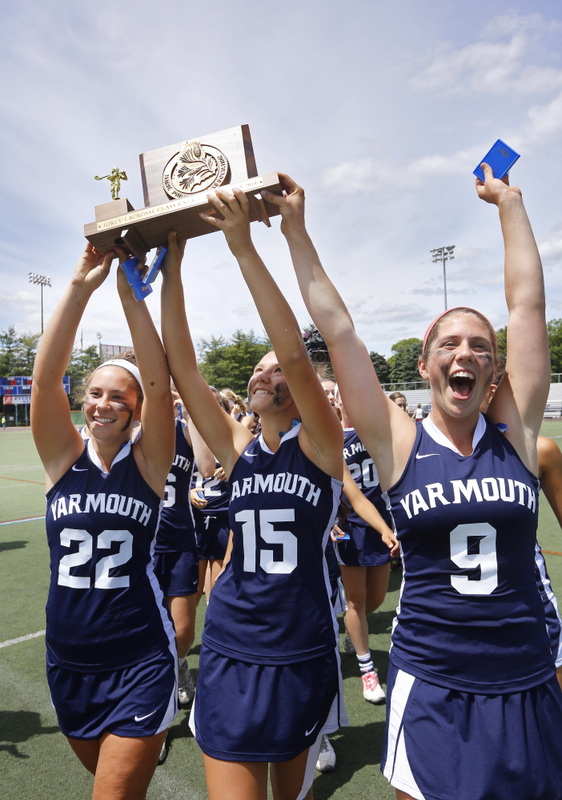 “(Yarmouth) played a phenomenal first half,” Perkins said. “They put us back on our heels and we had to play catch-up the whole game, and that was hard for us to do. Holt admitted it was a dificult situation, holding the lead with a quality team like Cape Elizabeth pressing. Emma Torres scored two goals for the Clippers, who lost to Waynflete in last year’s state championship game. Molly Maguire had four assists. Emma Torres and Caitlin Teare each scored a goal. For Cape Elizabeth, Sophie Hewitt had a goal and Elizabeth Robinson had an assist to round out the scoring.